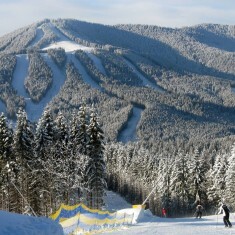 Bukovel Mountain Resort | Bukovel Mountain Resort | Ecosign Mountain Resort Planners Ltd.
Bukovel Mountain Resort is located in the Carpathian Mountains, 100 kilometers southwest of the City of Ivano-Frankivsk, Ukraine. Ecosign commenced working with the new resort developer, Skorzonera Ltd., during the summer of 2004 in preparation of a new Ski Area Master Plan. Ecosign’s Ski Area Master Plan calls for the installation of 26 major lifts with a combined hourly capacity of 57,000 skiers per hour to comfortably accommodate 19,500 skiers per day on 379 hectares of pistes. At build out in Phase V the area will have 118 kilometers of ski slopes making it one of the 50 largest ski resorts in the world. 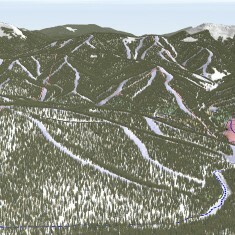 The area has been developed aggressively and already has 16 lifts, 12 of which have been installed in last four years. 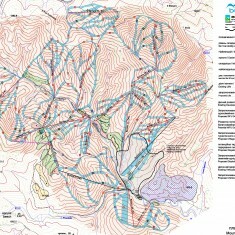 Fifty kilometers of pistes have been constructed. Subsequent to completing the Resort Area Master Plan in May, 2005 Ecosign was retained to prepare a total Resort Master Plan including the design of several resort village centers, residential zones and summer/winter recreational facilities. The Resort Area Master Plan designed by Ecosign includes: 13,200 beds in resort hotels in the village centres, 13,380 beds in multi-family ski in/out units, 3,650 beds in single family dwellings and 3,160 employee beds for a total of 33,390 beds. We have also designed a total of 2,500 parking stalls for day visitors; over 2,000 of which are in two large parking structures to support the ski resort’s overall capacity of over 20,000 skiers per day. 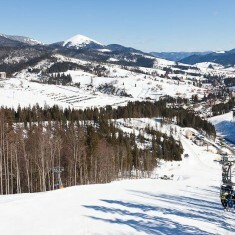 As of February, 2012 Bukovel Resort is considered one of the fastest growing mountain resorts in the world and is Ukraine’s first European class mountain resort. 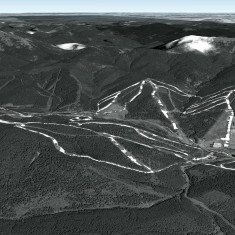 The area recorded a staggering 1.2 million skier visits during the 2010/2011 ski season up from 50,000 skier visits in 2004.